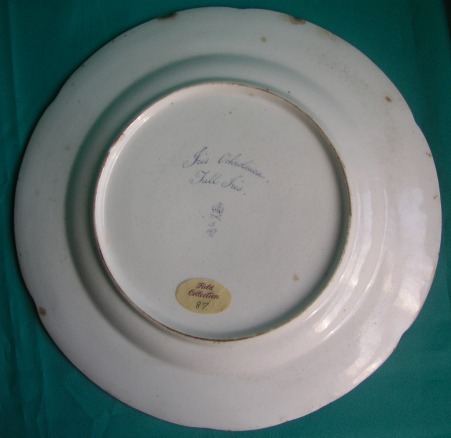 A Rare Botanical Dinner Plate, painted with pattern 197, the rim in black, inscribed on the back " Iris Ochroleuca. 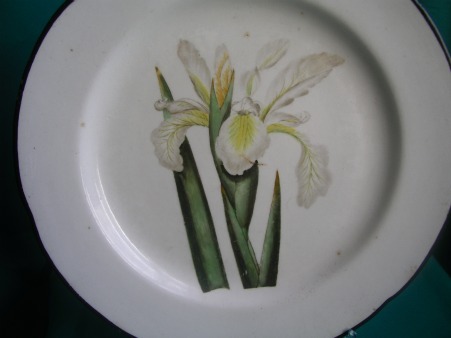 Tall Iris" *, blue mark, c.1800. 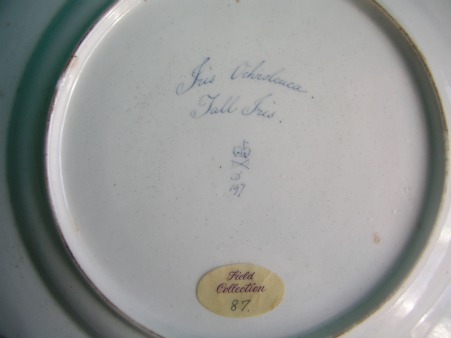 Dimensions: 26 cm. diam. Condition: two small chips near the rim. 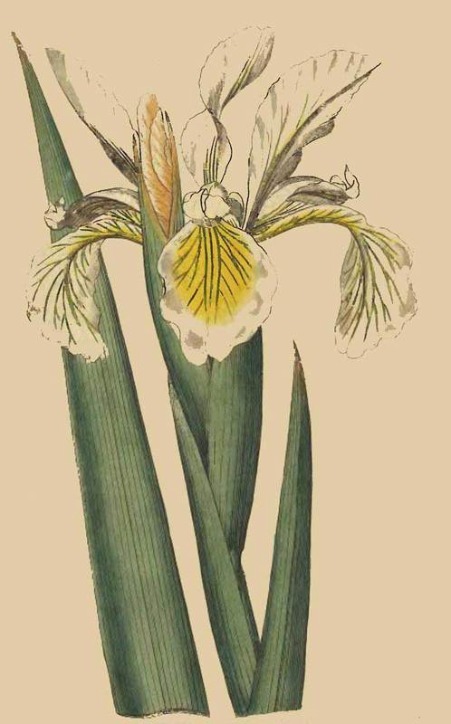 * The source for the flower painting is the book "The Botanical Magazine; Or, Flower-Garden Displayed" by William Curtis 1794. 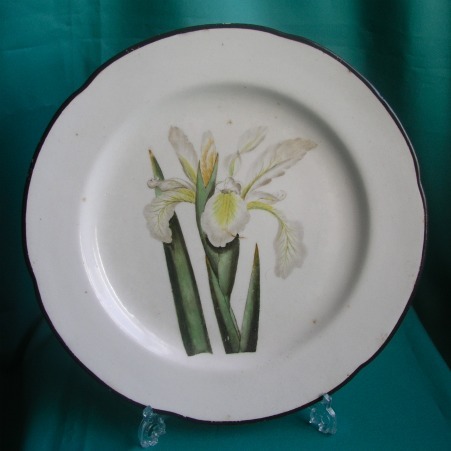 ** A similar plate is illustrated in "Derby Porcelain 1748-1848" by John Twitchett, page 138.